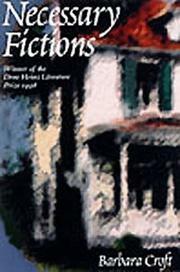 A collection of ten stories that earned author Croft (Primary Colors, 1991) the 1998 Drue Heinz Literature Prize. Mostly set in the rural Midwest, Croft’s stories move slowly through the unfolding routines of family affairs and clan history. They—re written in a cyclical, almost obsessive style. That reflects the continual gathering and re-gathering of the same people in the same places, again and again: domestic life, in other words. The unhappily married college professor of “The Woman in the Headlights,” for example, is unable to take any pleasure from his surreptitious love affair, partly because he’s haunted by the automobile accident in which he killed an elderly pedestrian some years before. In “Bonaparte,” an artistic young mother abandons her dull husband and runs away to New Orleans with her little boy; there, she begins an abortive affair but returns to Chicago when her husband comes looking for her. “Them” is about two families that suddenly collide: the drab suburbanites who live in a Frank Lloyd Wright’style house in Illinois, and the troubled intellectual tourists who ask to be allowed a look inside. The most ambitious piece, however, is the title novella, portraying the family life of Ray Gerhardt, a carpenter and father of three, whose obsession with building the perfect home leads to his apparent suicide when he’s unable to face the compromises demanded of him by the contracting business. Like all tales here, it’s taut, evocative, and haunting. A light touch and a good ear will always carry the day: Croft fits her voice to her characters perfectly and, with consummate skill, fits her characters to their world.